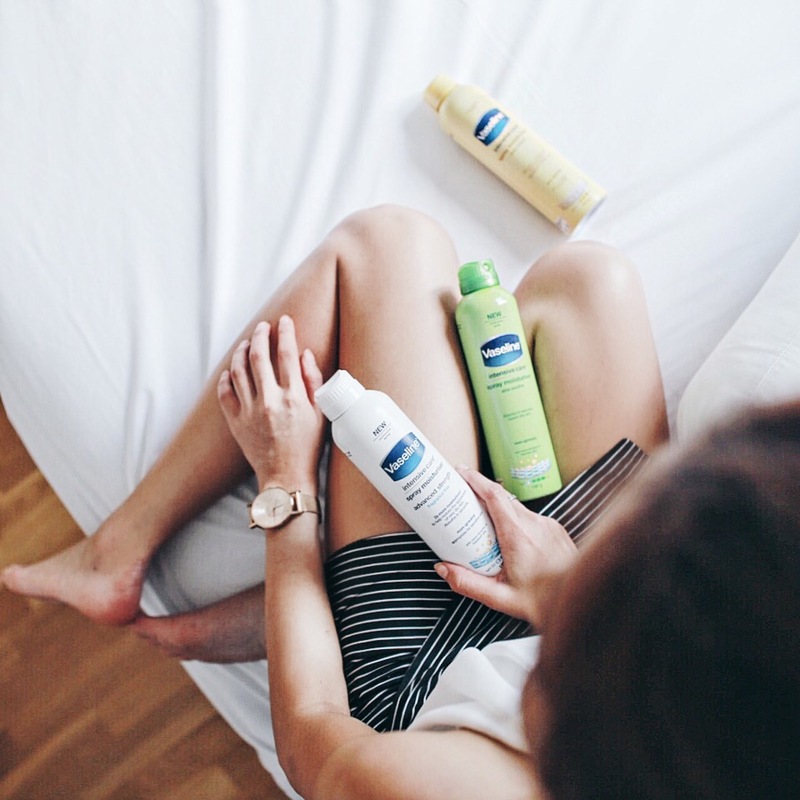 Is moisturizing your body too much of a hassle for you? As a result, the skin on my body is often a lot more dull, dry and rough compared to my face! I've reached the point where any form of help would be greatly appreciated. 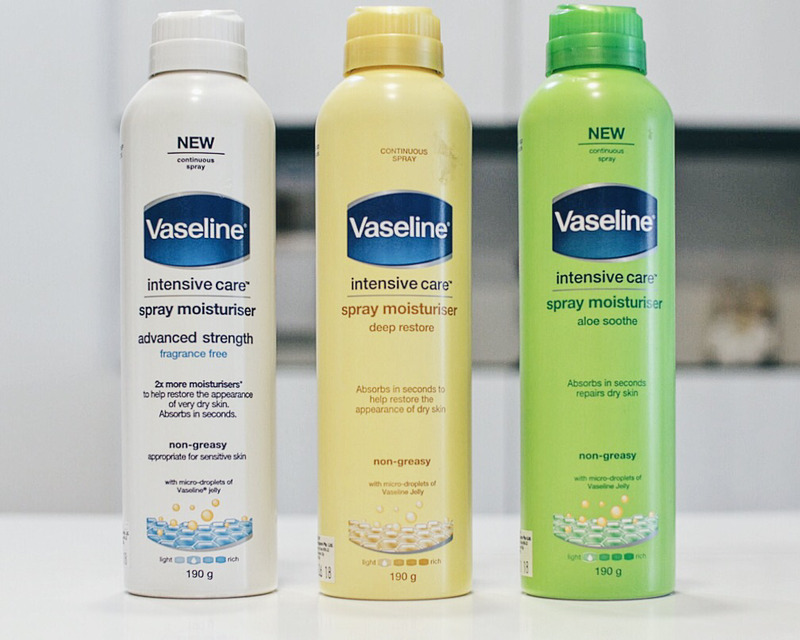 So for all you busy bees and lazy bums out there, myself included, we can now REJOICE because Vaseline Spray Moisturizers are here to save the day! Vaseline challenged me to moisturize my body within 10 seconds and I gladly took the challenge because you know... #challengeacceptedwithmong hahaha. But seriously though, I was full of confidence even before filming the challenge because I tried it beforehand and the spray can was so easy to use! The nozzle sprays out an appropriate amount of fine, fast absorbing Vaseline moisturizer in seconds, and all you need to do is to spread it out all over with your hands and you're good to go! There are now 3 variants catered to different needs - Advanced Strength for the ones with sensitive skin, Deep Restore to nourish dry skin and Aloe Soothe, for soothing calming skin. I love these spray moisturizers not only because they literally take me only 10 seconds to apply, they are also very moisturizing on the skin, lightweight, non-greasy and the micro-droplets of Vaseline Jelly makes it super fast absorbing and effective! They also left my skin with a very healthy glow that remained throughout the day, but surprisingly, without the greasiness nor stickiness - it's no wonder these have been such a favourite amongst my friends and family ever since I got them. They have also been coming with me on my trips because nothing screams more meh than feeling eeeky with greasy arms and legs throughout the day with heavy moisturizers right? Try out the 10 seconds challenge today with the Vaseline Spray Moisturizers and I'm sure you will be wow-ed too! This post is brought to you by Vaseline. All opinions are my own.